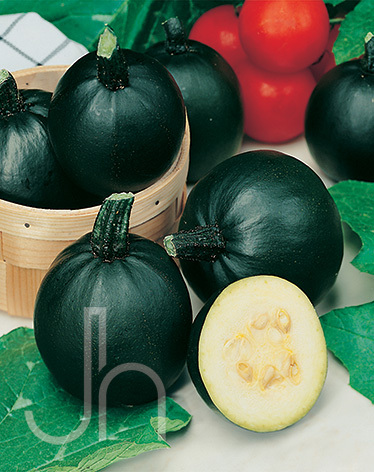 As suggested by it’s name, Eight Ball Zucchini is round with a deep, forest-green color and a nutty, buttery flavor. Unlike its winter counterpart, Summer Squash is completely edible, rind, seeds, and all. They may range in size, shape, and color but they can all be interchanged in any recipe. Click here to buy Eight Ball Zucchini direct from www.buygardenvegetables.com.